Here are the top 4 neat features in SWTOR! When I first saw the lineup of classes, the first thing I thought was “where are the support classes?” I play a captain in LOTRO, which is the main buffing class. I was thrilled to death when I logged on and found out that each class has its own specific buff. These buffs don’t necessarily make or break the game, but the idea is that with a balanced group, you will have four good buffs. They are on a 6 second cooldown, with a 30 minute duration, so a nice thing to do is to flyby buff people. This is the game right here. This makes every quest meaningful and fun. I think I probably got to level 10 doing MAYBE 40 quests. But it took the same amount of time that I would taken to level to 10 doing 100 quests. The mod system is really cool. People familiar with the mod system from Knights of the Old Republic and the relics in the Legendary system from LOTRO will know kind of what this is. Each Crafting Crew Skill makes a different mod, like scopes for blasters by Armstech, color crystals by Artifice, and armor plating by Armortech. The mods are where an item gets its stats. There were people literally using a level 16 blaster up through 35 with just changing the mods in and out. Every time they found a new item it wasn’t as good as what they had. Many thanks for an amazing piece of games info. 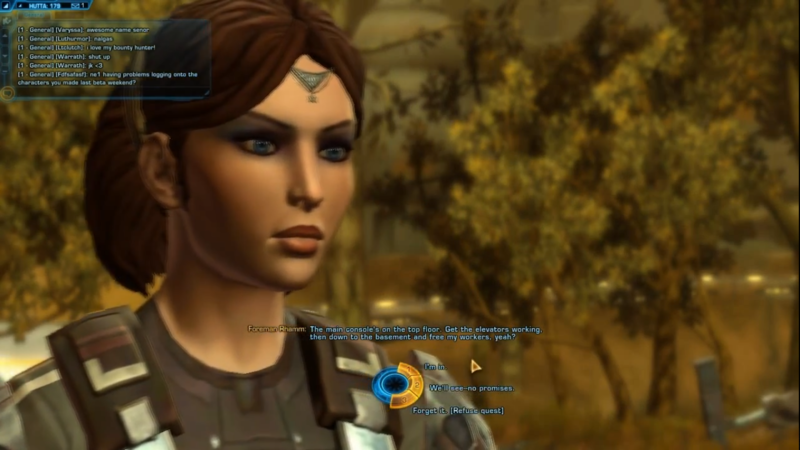 A SWTOR Beta Top 4: Things To Know About The Knight Class A Smörgåsbord of Writing!